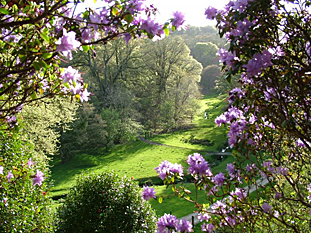 Boconnoc park was created by Thomas Pitt in 1780. Restored lake and Golden Jubilee walk. 19th century pinetum which includes Lobb’s collection. 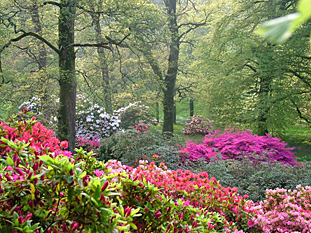 The garden is surrounded by parkland and woods with magnificent old trees & flowering shrubs. From M5 take the A30 to Bodmin. At Bodmin come off the bypass and onto A38 to Liskeard. 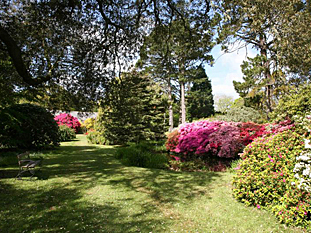 Approximately 2 miles after Bodmin Parkway Station, turn right (signposted to East and West Taphouse and Looe/Polperro – B3359). Continue to the T junction. Turn left onto A390 go to East Taphouse. Turn right onto B3359 (Looe/Polperro & Boconnoc). Follow the signposts to Boconnoc.